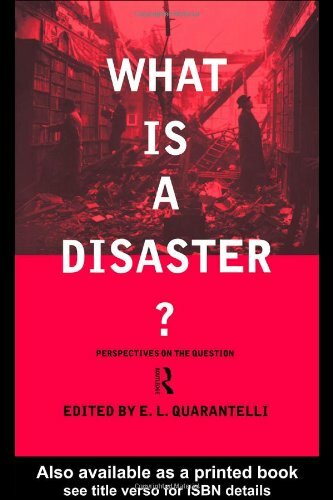 Social science disaster researchers from 6 different disciplines advance their views on what a disaster is in this work. The huge conceptual differences that exist concerning what a disaster is are set out clearly. Quarantelli is of the University of Delaware, Newark.